Ardmore is an active distillery located within the Highland region near Huntly in Aberdeenshire. Founded in 1898 its name translates from Gaelic as ‘big promontory’. The distillery was created to provide a good-quality smoky spirit for blends and so for a long time it was very rare to find an Ardmore single malt. The distillate produced is of a medium peat level, with a medium-body and sweetness, expressing malty and sherry notes with hints of honey and spice. This release of Ardmore was matured for 8 years in a first-fill bourbon barrel #2615b. Distilled on the 13th of October 2007. We took 50 litres to mature in a Pedro Ximenez sherry octave in the hope the spirit would extract those incredibly sweet sherry flavours. In no more than 3 months we had achieved that with a yield of 58 bottles. 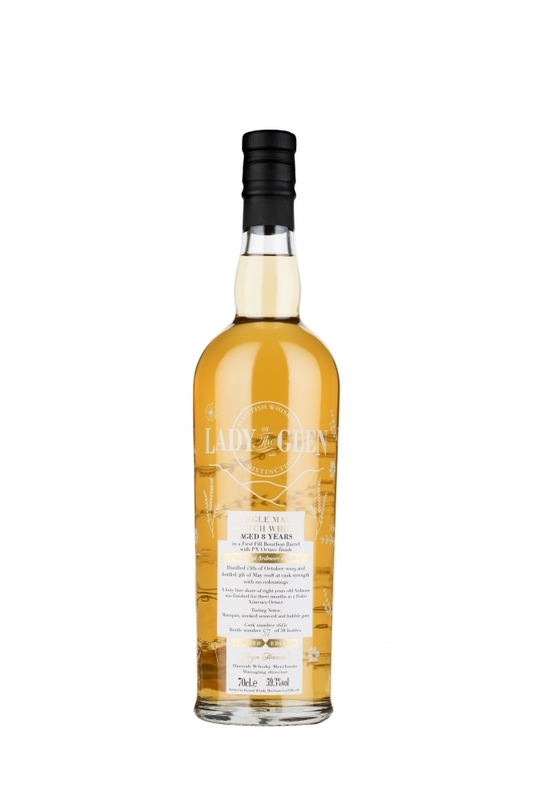 On the nose, enjoy marzipan, honey and almonds with a lingering smokiness and hints of seaweed. The palate is immersed in strawberry bubble-gum with a smoky aftertaste.